Jordan Henderson did his reputation plenty of good during England’s two Euros Qualifiers this international break. He played the whole 90 against Czech Republic on Friday in the 5-0 win and came off the bench to put in a mightily impressive cameo last night in a 5-1 battering of Montenegro. He usually trends for all the wrong reasons when England are playing, with brainless fans declaring him useless – due to their inability to watch a football match properly. Hendo isn’t world-class, but he’s top notch – proven by the fact that two of the game’s most forward thinking managers right now – Jurgen Klopp and Gareth Southgate – rate him so highly. Both Liverpool fans and neutrals lauded him yesterday evening, when in 26 minutes, he was involved in two goals – including a mesmeric assist for Raheem Sterling, his former Liverpool team-mate. Interestingly, he’s played in a more advanced role than he usually does for us – and we reckon that’s where he could start on Sunday, on the right side of Fabinho, with Gini Wijnaldum on the left. Said it before and I will say it again, if you cannot see what Jordan Henderson contributes to any team he plays for, I don't think I can discuss football with you. 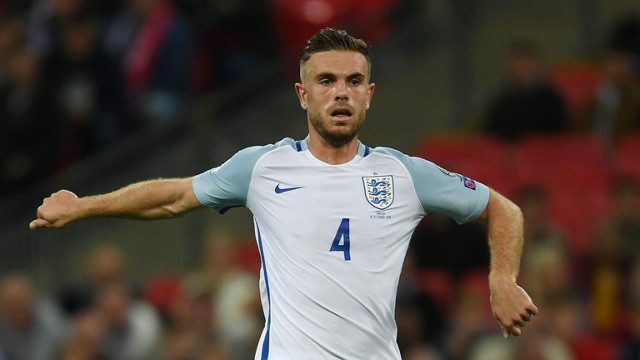 Very good cameo from Jordan Henderson for England. Won the ball back for Kane’s goal and played a great ball through to Sterling for his. Quite funny how Henderson has actually made a bigger impact for England in his career than Scholes did. These two England games have proven why Henderson has to play further forward in midfield rather than sat in front of the defence. Can I trade the Liverpool Wijnaldum and Liverpool Henderson for the Netherlands Wijnaldum and the England Henderson?